Generating solid leads within the real estate industry can be a tough and tedious endeavor. With all the competition out there, how do you break ahead of the pack and find the right tools and tactics for creating the right leads for your real estate agency? Don’t worry, the top 6 tips for an effective way to gain real estate lead generation is here. Think big (yet subtle and crafty) when it comes to the look of your website for a real estate agency or broker. You’ll want a website with eye-catching content that offers your clients secure and personalized customer service. Your website is the impression that you have on your clients so creating something unique, welcoming, and informative can go a long way. But it’s just as important to have the right features and tools for real estate lead generation on your website, such as newsletter sign ups, incentives, and lead generating forms. It may be tough getting your name out there in front of potential clients, right? Implementing SEO (search engine optimization) in your web content for real estate leads can help get you noticed online. Part of having good SEO for real estate agent websites includes using words or phrases within your content and meta tags so you rank higher on search engines like Google. People who are searching for real estate services will then be able to find your site and give you more quality leads. This is a time and money saving way to build good real estate leads. The days of cold-calling are over and are being replaced with a less abrasive means of lead generation for real estate agents. Social media platforms such as Facebook, Twitter, and Instagram allow agents to post quick and catchy videos, pictures, and statements that grab the eye of the reader for successful real estate lead generation. Agents can get as creative as they choose, coming up with savvy ways to stand out such as posting daily facts within the industry or hot tips for any homebuyer. Email Marketing to Create Real Estate Lead Generation. A mailing list is a great way to put you in front of potential clients, whether they need your services or not. Get an email list of your ideal audience to send weekly, monthly or quarterly newsletters. It keeps your viewers in-the-know with what is new and exciting, local events, or special promotions. When it comes to real estate lead generation, email marketing puts you right in the hands of your potential clients without them having to search. 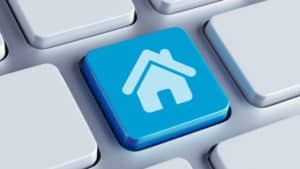 Connection and good report are generally a great aspect to have for generating real estate leads. Keep in-touch with past clients by calling or emailing and asking them if they need assistance or know someone that may. Because you may not have as much time to call all your past leads, sending out those email newsletters (as discussed in point 4) to past clients and leads can give them a great opportunity to pass your information along to a friend who may need your services. if the experience was successful for the client with you, they can easily forward your emails or get you in touch with their connections. Zillow is a popular tool that is used by viewers who are looking to rent or purchase a home. It allows viewers to search using detailed search options and meticulous listings. It’s also a beneficial way to get new real estate leads. Zillow Premier Agent allows agents to create more clientele through advertising that puts you in front of just the right buyer. Agents are allowed to customize their own website with a generated MLS feed, which make a great addition to any real estate website. If you are looking for more real estate lead generation tips, or other online marketing strategies, you’re your real estate agency, For Sale Marketing has you covered. For Sale Marketing has on-going support services to help real estate agents and brokers with their marketing plans. We can provide you with everything you need to generate more internet leads, including a responsive real estate web design that includes fully-integrated IDX, lead generating real estate forms, expert SEO services, social media marketing, and more.